DAYTONA BEACH, Fla. (April 11, 2019) – AFT Events and KTM North America are proud to announce the presence of KTM and its demo rig at the Law Tigers Arizona Super TT presented by RideNow Powersports at Wild Horse Pass Motorsports Parkon Saturday, April 27. 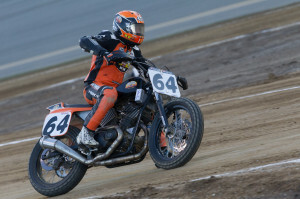 Fans at the March 23 Atlanta Short Track gathered in droves to test out KTM's newest models including the 390 Duke, 690 SMC, 690 Enduro, 790 Duke, 1090 Adventure R, 1290 Adventure R, 1290 Adventure S, 1290 GT and 1290 Super Duke. KTM's setup at the this month's Law Tigers Arizona Super TT presented by RideNow Powersports will mirror that of Atlanta, but with the addition of an autograph session featuring Red Bull KTM Factory Race Team riders Dan Bromley and Shayna Texter. "We are very excited to have KTM involved with and present at our events this season," said Cameron Gray, COO of AFT Events. "The demos in Atlanta were a huge success - the sign-up was full well before noon and riders were able to test the newest models guided by knowledgeable staff. We look forward to offering this unique experience to our fans in Arizona and thank KTM for helping us create a memorable experience for AFT fans at the track." Attendees looking to hop on one of KTM's sleek 2019 models must possess a current motorcycle endorsement and proper riding gear: helmet, eye protection, long-sleeved shirt/jacket, gloves, pants and proper footwear. Riders of 390cc machines must be at least 21 years of age and riders must be at least 25 years of age to test models 690cc and up. 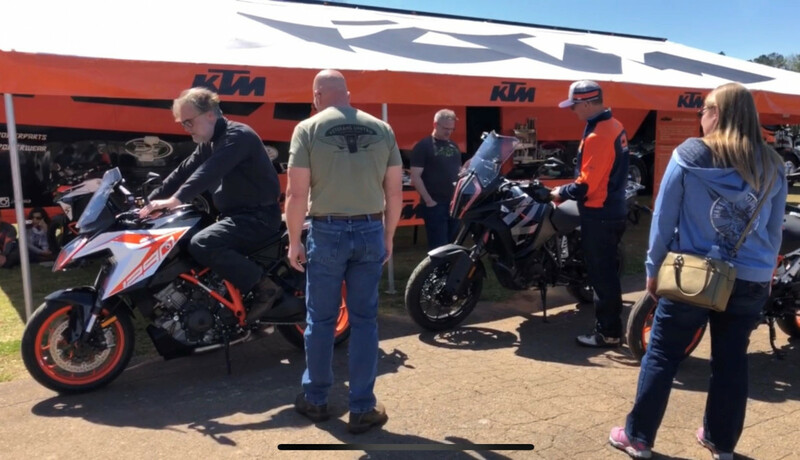 Sign-ups for KTM demo rides at the Arizona Super TT begin at 9:00 am on race day and run from 10:00 am - 3:30 pm at the KTM demo rig in the fan zone. 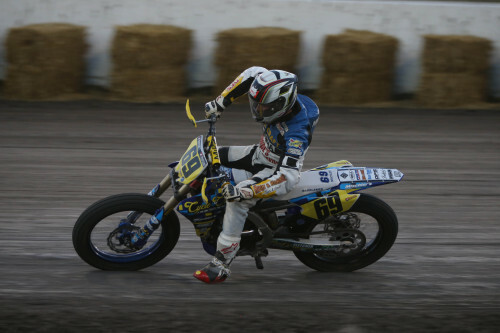 "KTM is excited to be a part of American Flat Track and it’s fantastic return to the American racing scene," said Mark Hyde, Ride Orange Manager of KTM North America. "Along with our strong racing effort in the AFT Singles class, we will also be on-hand with our KTM Street demo rig so fans and riders can visit us to check out all the new 2019 models. 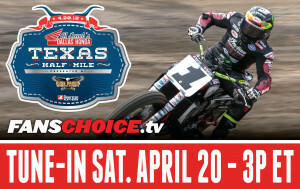 Fans can also look forward to meet and greet sessions at our tent with Dan and Shayna."